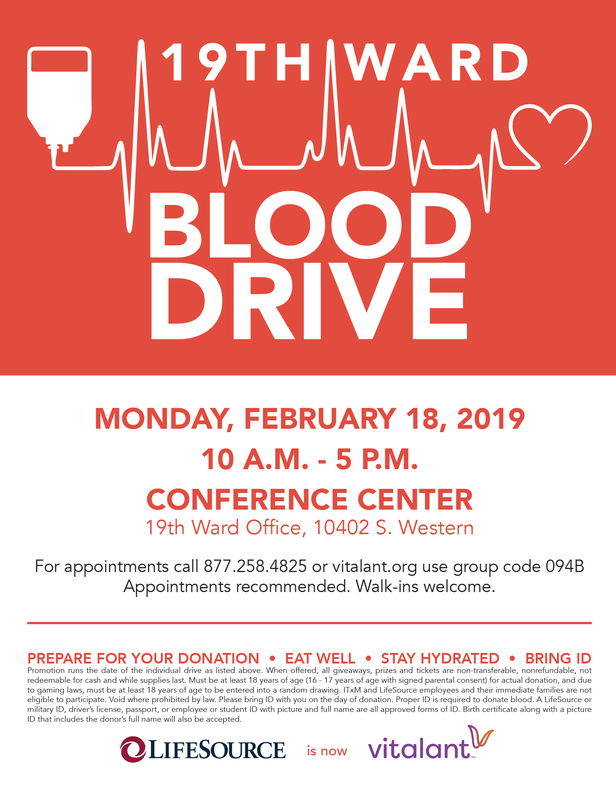 On Monday, February 18, 2019, Alderman Matt O’Shea and Lifesource will host a blood drive from 10:00am-5:00pm at the 19th Ward Service office at 10402 S. Western Avenue. Blood donors must be at least 18 years old (16 or 17 years old with signed parental consent form), weigh at least 110 pounds, and be in generally good physical health. To avoid a long wait time, we recommend making an appointment by going to the Lifesource website www.lifesource.org. Use the group code 094B.